So you’re a world-class procrastinator and think you might actually be suffering from a Visibility Wound™. The questions below will help you determine whether your problem is simple procrastination, or something deeper. Plus we’ll get you on the path of healing if it turns out you are dealing with a Visibility Wound™. Do you desire a much bigger audience? The key ingredient in the Visibility Wound™ is a desire to be seen. And specifically, to be seen by a significantly larger (or more “important”) audience than you have now. So if you answer no to this question, you definitely don’t have a Visibility Wound™ and you need to look elsewhere for the causes of your procrastination. See Question #5 below: Why do you procrastinate? But if you answered yes – you feel that you & your work should be reaching far more people than you are now – yep, that’s a good sign that you might have a Visibility Wound™. Are you exceptionally talented or gifted? If your answer is, “Yes, I’m fantastic!” then you probably don’t have a Visibility Wound™. If on the other hand your answer is to hem and haw and backpedal and exhibit all kinds of false modesty – “Well I don’t know, I guess people tell me I’m pretty good, but who’s to say … I did win that incredibly prestigious award, but it was a fluke or I didn’t deserve it or it really doesn’t mean anything …” then this is another very strong indicator you might be suffering from a Visibility Wound™. Is “putting yourself out there” incredibly difficult for you? Do you cringe at the idea of blogging or tweeting on a regular basis? Do you suffer debilitating stage fright or writer’s block? Would you rather die than explicitly ask someone to support you, or hire you, or follow you, or promote you? Do you even struggle to return messages from people who have reached out because they’re interested in you and your work? These can all be symptoms of a Visibility Wound™. However, they can also be symptoms of Sales Wound #4, The Anti-Selling Wound™ – especially if your struggle isn’t just with putting yourself out there but also with making sales or accepting money. Click here to learn more about the Anti-Selling Wound™. Is there a huge gap between what you want to be doing and what you’re actually doing? The bigger the gap between what you’re actually doing and what you wish you were doing, the greater the likelihood you have a Visibility Wound™. … you’ve accomplished any huge milestone, but it was like a needle on a graph – a huge spike upwards, surrounded by low, wide plateaus on both sides. In short, if you dreams are WAY bigger than your reality – you’re most likely suffering from a Visibility Wound™. 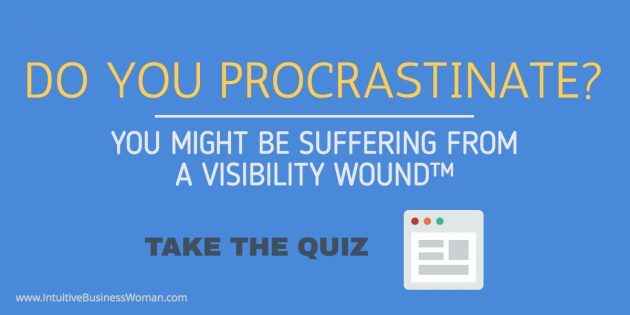 If your procrastination is caused by a Visibility Wound™, your answers to the other questions have probably left no doubt in your mind: You procrastinate in order to hide. The tasks you procrastinate on, or the big projects you never seem to complete, would all tend to shine a spotlight on you, if they got finished. But as long as you don’t finish them – nobody will see you. So by procrastinating, you conveniently get to keep on hiding. If, on the other hand, your procrastination is around tasks like your bookkeeping, personnel issues, or even personal projects like cleaning out the garage, you need to look elsewhere for the cause of your productivity issues. 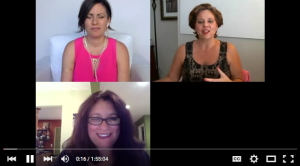 If you still aren’t sure if you have a Visibility Wound™ – or if you just want to see some examples of it in action – watch this live conversation with me, Christina Morassi, Donna Crovatta and several other guests as we discuss the different ways that a Visibility Wound™ can show up in the life of an entrepreneur. 1 to 15 points … The Visibility Wound™ isn’t the primary thing stopping you. You’ll want to explore other possible causes of your procrastination problem. Your next step is to check out Don’t Get Stuck Again: Everything You Ever Wanted to Know About Getting Stuff Done But Were Too Busy to Learn. 16 – 35 points … You probably have some significant Visibility issues going on, but Visibility might not be your primary Wound. 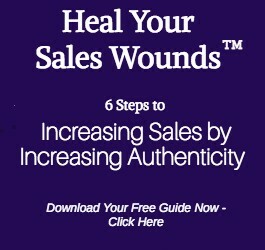 Your next step is to read about the 5 other Primary Sales Wounds™ to see if one of the others resonates more strongly for you. 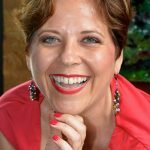 36 points or above … Your issues around Visibility are the #1 obstacle preventing you from getting you, your work or your message out into the world in a big way. Until you heal this Wound, you will continue to feel frustrated and thwarted in every attempt to succeed in your business and life. Your next step is to read How to Heal the Visibility Wound. As you’ll see, this is a process that demands considerable time and effort to undergo, and virtually requires that you get the support of a professional – a coach, healer, psychologist, etc. To get help from me with your Visibility Wound™ email my assistant Rosie@JuliaKline.com. 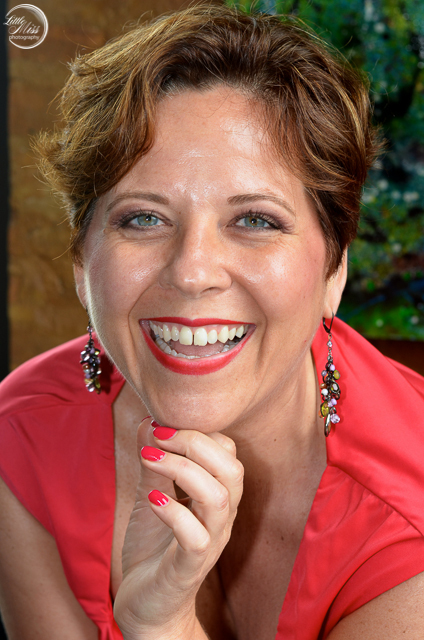 She'll send you my Coaching Brochure as well as a link to schedule a free 30-minute phone call with me.